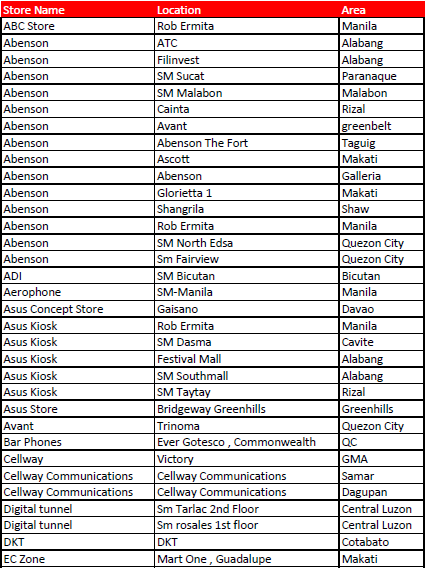 The Philippines branch of Asus has released a list of various retailers that are selling the ZenPad C 7.0 (Z170) in the country. We are assuming that if they are starting with the ZenPad C, that they will in fact be selling the other models as they arrive into retail in the Philippines. Here is the list of retailers in the Philippines and it’s an image, so click it to enlarge full size. We’ve really only heard of the ZenPad C arriving in the Philippines first. Then expect to see the ZenPad 8.0 (Z380C) and then perhaps after that, the ZenPad S 8.0 will arrive in stores. It would seem that the releases are scattered globally until Asus is able to ramp up enough production. We will update where you can buy a ZenPad in the Philippines in the coming weeks as we learn more. Not sure about the ZenPad C 7.0? It comes as a wifi only model, Z170C, or it comes with 3G enabled, the Z170CG model. There is another variant with a MediaTek processor, but it’s unlikely to get to the Philippines as we see the Z170CG as being the choice by Asus for that market. The ZenPad C series is the budget tablet. It’s 1024 x 600 resolution, 16GB and 1GB of RAM. The processor is a 1.2GHz Intel Atom. When the Zenpad tab series will launched in india? We are hoping for details soon. Trust us, we’re hoping to get you an answer asap! when zenpad series will launcched in india? We are hoping for details this week. Trust us, we’re looking to get you an answer! How about the case???? Where can I buy an original Zen Clutch cover??? In most every market the accessories are slowly coming. Tablets to market first, cases later. I don’t think I’ve even seen the Clutch Cases in Taiwan which means it’s certainly delayed. We will update asap with accessory details. We check sources daily! Any update on when and where we could buy the Zenpad S 8.0? Their marketing team was recently flaunting the unit but its not available in any store as of Sept. 3 , 2015. Great question. As with every country, the ZenPad S 8.0 rollout has been very slow. I wish we had an update for you. Trust us, we will track down the info and have those details when news breaks. Hopefully it’s just a matter of days. the Zenpad S 8.0 is only available at the Asus shop in SM Megamall for 16,995, no other shop is carrying it despite the details above as of Nov. 22, 2015. 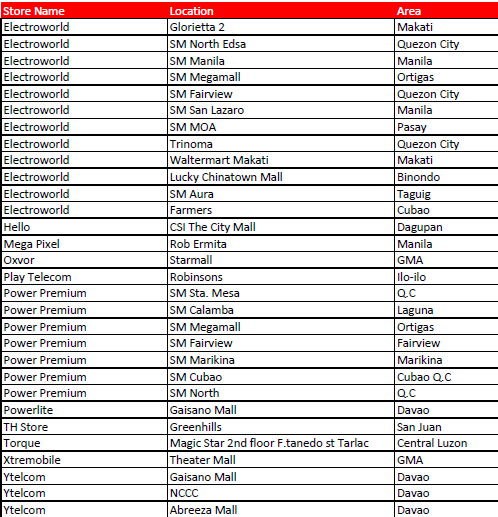 No stocks are available anywhere in Glorietta as of Nov. 23, 2015 as well. The Zenpad S 8.0 is released in the Philippines with the Zen Clutch as a free accessory. AFAIK, the Zen Clutch is not (yet) sold separately. There is no word if and when the Z Stylus will be released as per Asus shop rep.